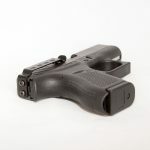 Techna Clip is truly a minimalist solution for those who carry concealed. 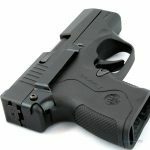 It’s a concealable gun clip that easily affixes to your sidearm to deliver a secure, lightweight and discreet carry option – without a holster. The Techna Clip installs quickly with no modification to your firearm. Allowing you to securely conceal your pistol in your pocket, waist, or in the small of your back – with confidence! It eliminates bulk while providing a comfortable and versatile way to carry. 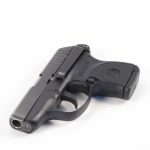 Techna Clip has a strong following of law enforcement, military personnel and CCW users around the world that prefer to carry with the Techna Clip.